Brand New Website for Toronto’s Pirate Kids Magician! 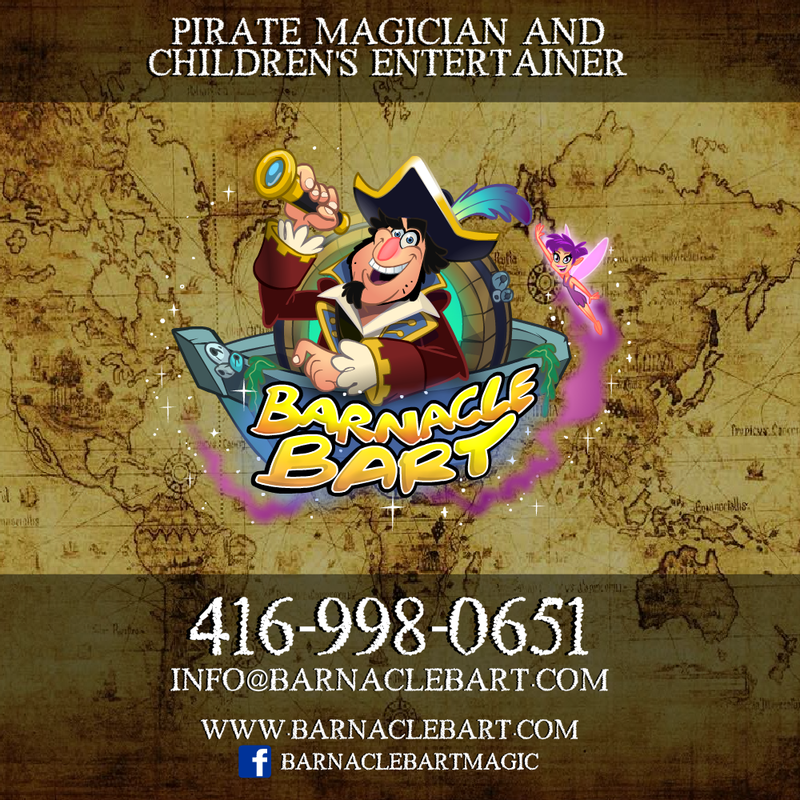 | Barnacle Bart - Theme Parties and Magic Shows! Brand New Website for Toronto’s Pirate Kids Magician! Welcome to our brand new website, the official home of Barnacle Bart the Pirate! We hope you all made it over safely! In order to make this transition as painless as possible, we are only going to be re-posting the events that had a lot of nice PICTURES to go along with them. If you notice anything buggy about the site, or would just like to let us known how you feel, please leave a like or comment down below! Don’t forget to subscribe to Bart’s facebook page as well!